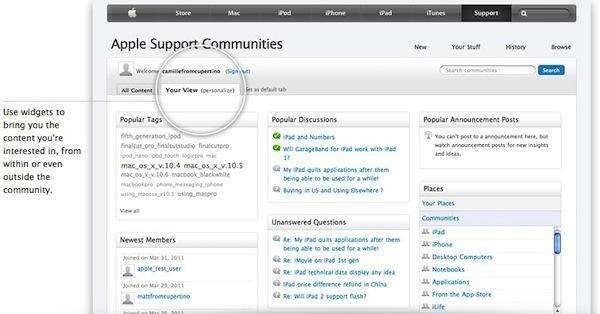 Apple has gone live with the Apple Support Communities support forum upgrade it announced last year, adding social network features and replacing the Apple Discussions board. 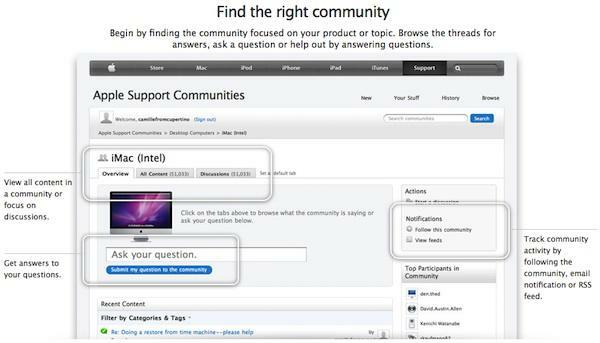 Apple announced the new Support Communities upgrade to its online forums last August on the Apple Discussions board. 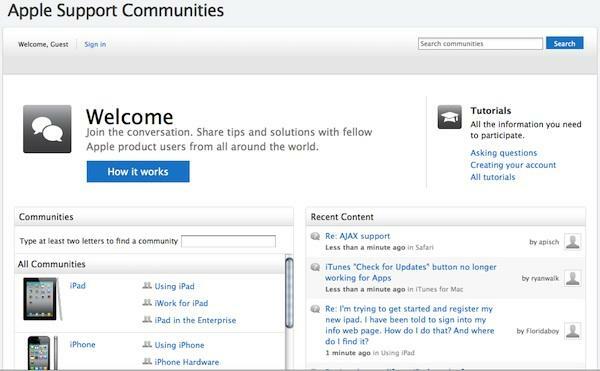 "Apple Support Communities brings together thousands of Macintosh, iPod, iPhone, and iPad users from around the world to discuss Apple products and topics," the official introduction read. "Apple Support communities provides a wealth of information about your favorite Apple hardware and software products to help you get the most out of your purchase. And, in the spirit of community, you can also help other Apple Support Communities' users by answering their questions." As first reported by MacStories, Apple has officially launched its newly redesigned forums, which add a highly social element to the support forums. Users are encouraged to browse through "communities" to find one focused on the relevant product or topic, then join the discussion by replying or liking posts. Those who don't find the answer they're looking for can easily submit a question to the community. To join ASC, users simply sign in using their Apple ID, select a username for the Community and then approve the new ASC terms and conditions. A new "Your View" section with customizable widgets allow for a personalized experience and layout with modular content categories from both outside or inside the community. The "Your Stuff" section of ASC includes Bookmarks, Discussions, Documents, Communities and Notifications, as well as a Preference and Profile. The ASC user interface takes inspiration from the iPad and iOS, with frequent use of popover menus and overlays. 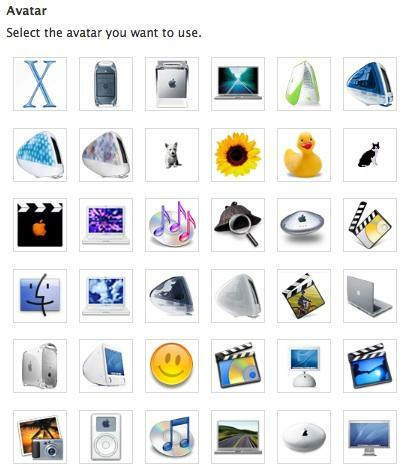 ASC members can customize their profiles with photos and avatars, which include iconic Apple products such as the original iMac, clamshell iBook and first-generation iPod. Post only technical support questions and answers, unless otherwise noted. Be polite, constructive and stay on topic. Search for questions similar to your own before submitting them to the community. Reward helpful community members by marking answers to your questions helpful and correct. Users who submit helpful and correct responses will continue to receive reputation points, which contribute to an increase in status level, thereby unlocking greater privileges, though it's not immediately clear what those privileges entail. Apple has been systematically revamping the support section of its website. In January, the company added a Support Profile site that allows users to track repair and support activities for their products.